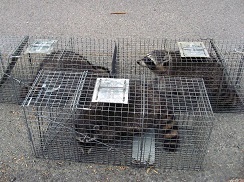 Advanced Animal Removal offer nuisance wildlife removal to residential and commercial customers. We are locally-owned, fully licensed and insured. 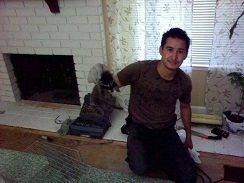 Advanced Animal Removal is open 24 hours a day and 7 days a week. We’re also a full-service who specialize in a wide range of humane wildlife control services including: bat removal, raccoon removal, skunk removal, rat removal, squirrel control, bird control, snake removal, gopher and mole control, fox control, bee removal, wasp removal, opossum removal and more. 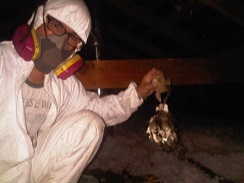 We also specialize in dead animal removal, damage repairs, waste cleanup, sanitization, deodorization and decontamination. If you have questions regarding homeowners insurance coverage from animal damage, please call 925-381-7199 to find out how clean-up, insulation removal, repairs, prevention and decontamination won’t cost you anything (depending on insurance company and policy). We’ve worked with many companies. We also provide a directory for other locally-owned and licensed wildlife operators Here. Do you see it? 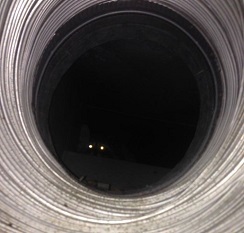 A raccoon living inside 12 inch diameter ducting under a home-- She said it smelled like wet dog! 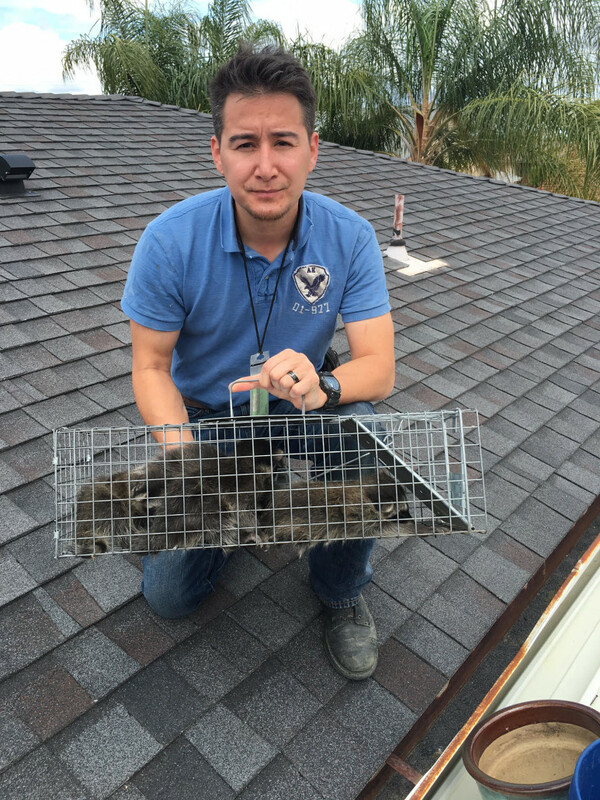 In Need of Nuisance Animal Removal? Are you noticing footsteps on your roof? A Raccoon Digging Up Lawn? Or maybe scratching in the walls? You might be in need of animal removal services. There are tips and techniques to do your own animal control but the very best tip is– animal removal. Yup, getting rid of the nuisance animal would be the best solutions. 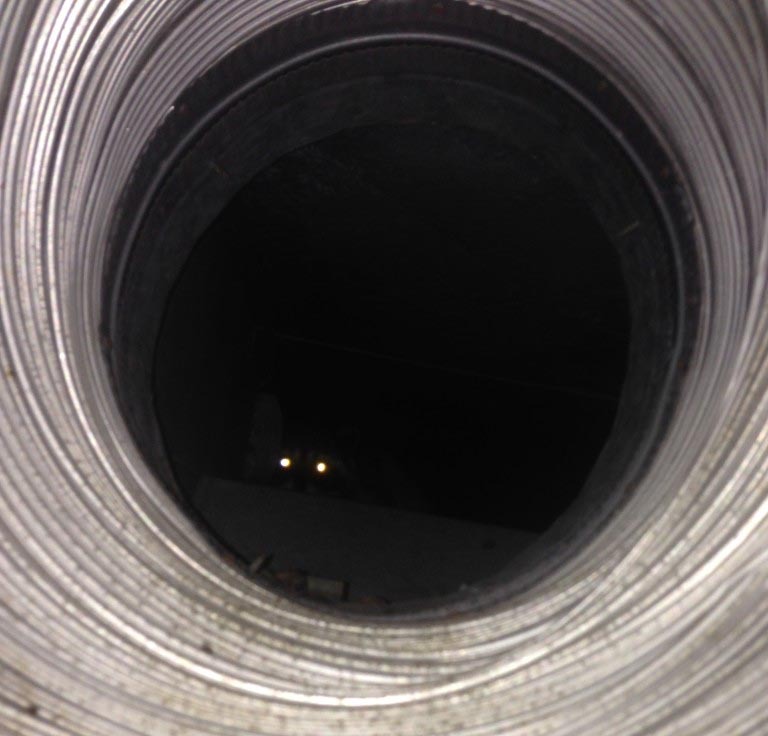 Evict animals by having them leave, and sealing up your home, will risk them digging back under your foundation to live in your crawlspace again. Or worse– chew a hole through your attic. I have seen. Raccoons tearing open a hole to get back to her cozy, comfy, insulated-filled attic (nice and quiet). Animals feel obligated to come back if they’ve lived there from sometime. Especially if they were born in a place, like your under your house. Animals digging in your yard? It’s even more difficult to deter animals off your property if it provides a yummy grub meal. 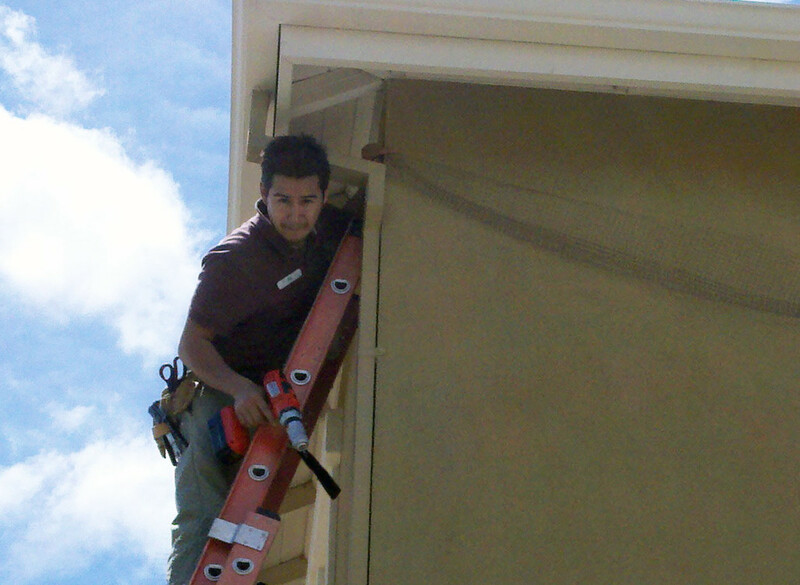 You can’t easily block out opossums or raccoons– they’re great climbers. Some myths exist such as: flood lights, motion sensored water sprinklers, radios, ammonia, etc., But there’s really only one solution that will work– trapping and removing the nuisance animal. There are also some tips that do work such as: applying a grub killer to your yard to prevent vermin from digging in your yard. Maybe getting rid of food, fruits or places to nest will work as well.